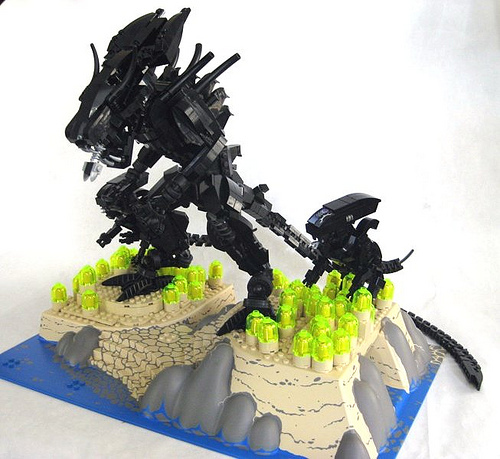 Andrew Lee has set his talented hand to some aliens in the style of, well, Alien. I think that H.R. Giger would be proud. Make sure to note the fantastic technique used on the tail (you can see it wrapping around the right side of the rock). Also note the inclusion of the tiny mouth emerging from the alien’s mouth, a detail often overlooked in Aliens creations. I got to take a closer look at this at a recent SandLUG meeting, and it is indeed fantastic.